One of the most popular Android smartphones of the last few years, the Samsung Galaxy S5 Mini, didn’t have a tablet-sized display nor edge-to-edge curved screen glass. But despite going against all recent smartphone trends, the humble S5 Mini turned out to be a huge success for Samsung. Customers found it refreshing to, once again, comfortably operate a smartphone with just one hand and still be as productive as if they were using a much larger device. In this article, we’re taking another look at the Galaxy S5 Mini to see how it holds up in 2017. And because we like to give you as many options as we can, we’ve also included four other small Android smartphones, all of which are highly recommended by countless satisfied customers. The Sony Xperia X compact is a polarizing smartphone. It stands out not only with its smaller, 4.6” IPS capacitive touchscreen with the HD resolution but also with its blocky, plastic body. When testing the X Compact, we couldn’t help but think that Dieter Rams would find it beautiful. We did as well, despite being used to smartphones made from aircraft-grade aluminum. As fashionable as aluminum may be, it’s still considerably heavier and not much more durable than modern plastic materials. But even if the plastic body isn’t exactly your thing, the rest of the Xperia X compact should still be able to make you fall in love with it. Sony included their innovative triple image sensing technology, allowing you to capture sharp, vivid images using the 23 MP rear camera even in poor lighting. The camera can also record full HD video at 60 frames per second. Inside the smartphone, things continue to look just as great. The Snapdragon 650 chipset with 3 GB of memory at its disposal make for a pleasant user experience, and 32 GB of internal storage space more than enough for a few thousand of those gorgeous 23 MP pictures. Because the modest display doesn’t draw too much power, the 2,700 mAh battery lasts longer that you likely expect. Do you carry a Leatherman multi-tool in your front pocket? Do you care if your cordless drill runs on 18V or 24V? If you’ve answered “yes” to both of these questions, the S60 from CAT might be the right smartphone for you. When designing this device, CAT wanted to create something more than yet-another-ultra-durable-smartphone. Which is why they did something interesting—they equipped the smartphone with a thermal imaging camera. The thermal imaging technology comes from FLIR, the world’s largest commercial company specializing in the design and production of thermal imaging cameras, and it is capable of penetrating even obscurants like smoke and retroactively pinpointing a temperature in your image. This makes the S60 a perfect companion for construction workers, electricians, or safety inspectors. Not only can the CAT S60 see more than other smartphones, but it can also withstand more abuse. 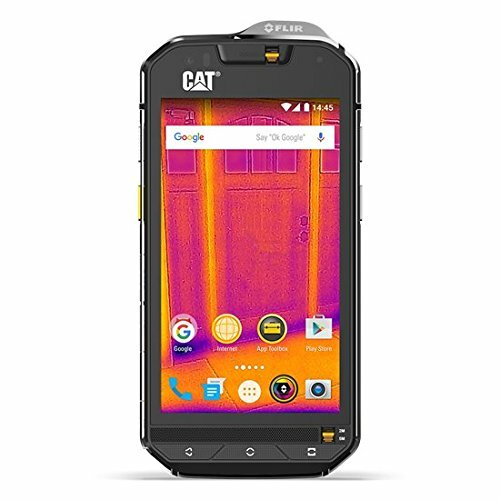 Using CAT’s unique Lockdown Switch, you can instantly make the smartphone waterproof up to 5 meters and 60 minutes, and the strengthened die cast frame helps the S60 exceed even military specifications and survive drops from up to 1.8 meters. It could be argued that it takes a lot more expertise to design a solid budget smartphone than it takes to slap together a bunch of high-end components and call it a day. Who then could be in a better position to design an excellent smartphone for the masses other than Samsung? The Galaxy J1 Mini Prime is a throwback to the days when displays over 4” were considered huge and the full HD resolution was seen as a wasteful extravagance. Just consider the specifications the J1 Mini: a quad-core CPU, 1 GB of memory, 5 MP rear camera, 4” screen with the resolution of 480 x 800 pixels. Doesn’t seem like much, does it? Well, that’s because you don’t know that the J1 Mini can be yours for less than $100. Paying so little for a Samsung device with two SIM card slots and extremely compact size is a pretty good deal as far as we’re concerned. 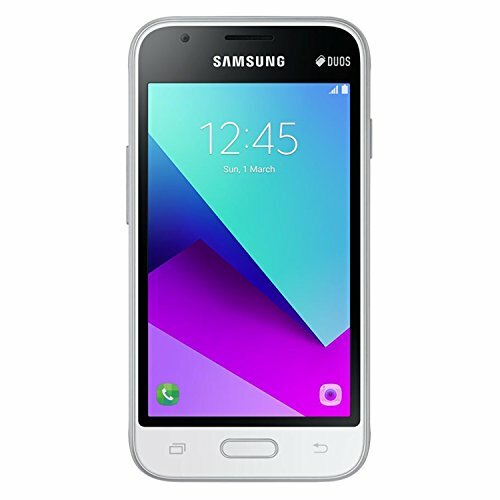 If you’re looking for an affordable backup smartphone that you could use as your business phone or in the case of an emergency, the Samsung Galaxy J1 Mini Prime has you covered. 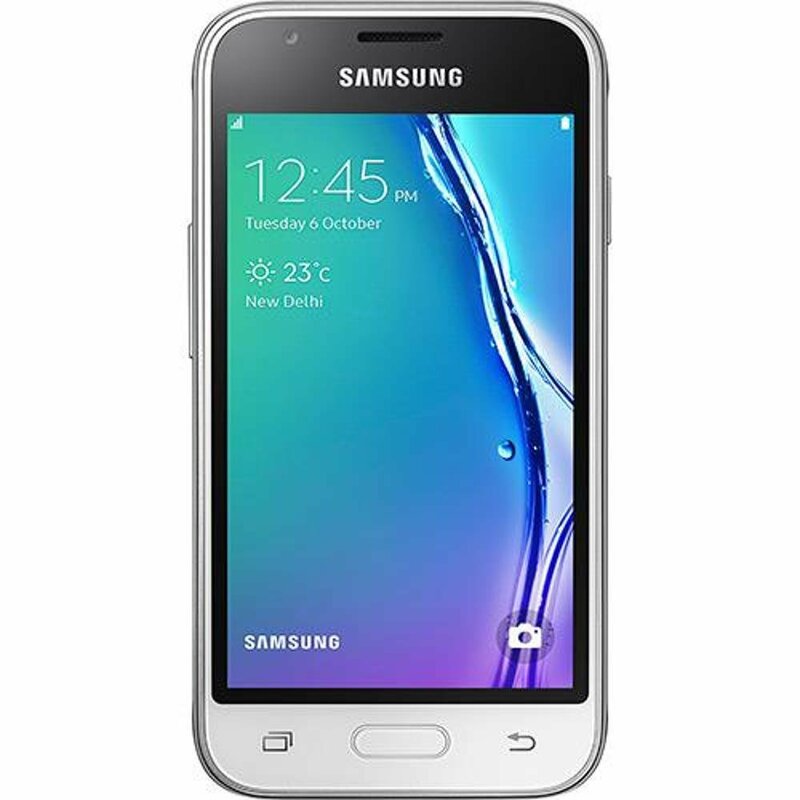 Currently available only in Russia, the Samsung Galaxy A3 is planned to hit global markets later this year. Even though it’s really just an updated version of the A3 from 2016, there’s a lot to be excited about. Just like its more expensive siblings, the new A3 carries the IP68 certification, ensuring that it will survive full submersion in up to 1.5 meters of water for 30 minutes. Beneath the water-resistant exterior is the Exynos 7870 octa-core chipset with 2 GB of memory and 16 GB of internal storage. This is a substantial upgrade over the Exynos 7578 quad-core in last year’s model. As far as the screen goes, you’re looking at a 4.7” super AMOLED touchscreen with the resolution of 720 x 1280 pixels and Corning Gorilla Glass scratch protection technology. The camera has stayed the same, but the 2017 version of the A3 now charges via USB-C. Even though USB-C is still more of an annoyance rather than something truly useful, it will inevitably take over the current MicroUSB standard in just a few years. 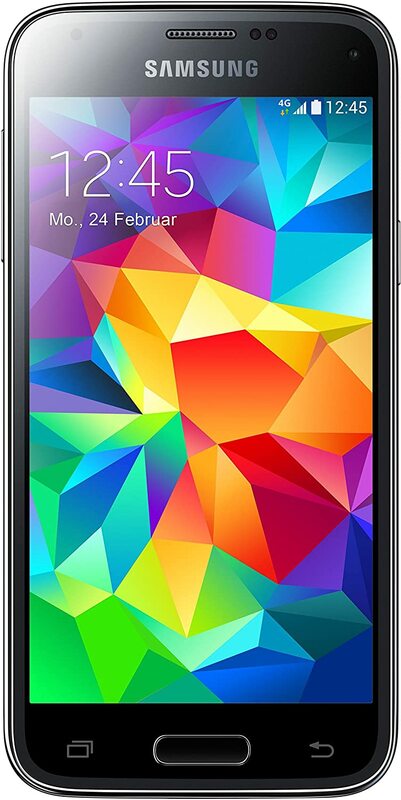 When the Galaxy S5 Mini first hit the market in 2014, reviewers praised its performance, display, connectivity, and battery life. Back then, the smartphone ran Android 4.4.2 KitKat and was among only a handful of IP67 certified smartphones. Even though its Exynos 3470 quad-core CPU and 1.5 GB of memory are nothing to write home about these days, the rest of the smartphone holds up remarkably well to this day. The 4.5” Super AMOLED capacitive touchscreen with the resolution of 720 x 1280 pixels is just as striking as it ever was, and the 8 MP camera with autofocus and LED flash produces very respectable pictures, despite its limited resolution. There’s no need to avoid even second-hand models because the 2100 mAh battery is replaceable, which isn’t something we see very often with water-resistant smartphones. Very disappointing. I very much liked the article, till I found none of these phones work with CDMA. Thanks for the review. Dimensions of the Cat S60 are 147.9 x 73.4 x 12.7 mm, which is as tall & wide as a Galaxy S6 and 50% thicker. Great piece of tech but not exactly small. For me the test is whether it fits in your pocket when sitting down, and on that basis it has to be Sony X Compact.